Thanks to the proliferation of mobile app technology in the healthcare sector, there has been a big change in the way modern society accesses the healthcare industry. While several hospitals and clinics around the world are adopting mobile health app technology, patients (on their own part) are rapidly adapting to the use of mobile health apps so as to be able to effectively access health information. Obviously, the use of mobile apps in the health sector will greatly help to improve patient experience. There are several ways this growing technological development will help to contribute to both positive health outcomes and better customer experience. Currently, the health sector is already considering this tech to ameliorate short-term outcomes, enhance transparency in medical care, make physician-patient communication more convenient, and improve the dissemination of health information across multiple boundaries. With the current incessant growth of mobile devices on a global scale, many mobile app developers have made giant strides in creating efficient mobile apps that have not only supported the healthcare sector but have also brought about many great benefits. Just so you know, these applications are helping various enterprises in the sector by improving practice efficiency and knowledge, improving the quality of data management and accessibility, and also enabling them to make fast decisions in an accurate manner. Most importantly, there have been remarkably positive impacts with this technology on patient care outcomes in recent years. Currently, research has shown that those employing (utilizing) mobile applications within the industry have experienced an outstanding reduction in hospital length of stay and even in adverse events. It is evident that health care professionals will greatly benefit from the use of mobile apps when they’re rightly adopted for the right purpose. No doubt, there is a huge market with the development of mobile applications for the mobile industry particularly now that mobile app developers and various app development agencies are working toward encouraging the adoption of mobile health application in various health care settings around the world. However, there is still a very long way to go with this technology due to the expansive nature of the health industry. However, this doesn’t imply that businesses in this sector cannot benefit from the use of mobile health application. They can surely make good use of this tech and benefit maximally from it if only they know just how to adopt the right mobile health application. Below are some helpful and proven ways, any health organization or enterprise can find the right mobile application to use to improve their clinical activities and that of the healthcare sector in general. This post presents some selected basic factors that should be considered when choosing a mobile healthcare app. In the first place, creating improved productivity in any workplace should be the primary purpose of mobile app adoption. No doubt, there is no need for adopting a mobile application that doesn’t enhance productivity in any given health environment. Regardless of the area where the application is going to be employed, there is no need adopting such an app if it doesn’t meet up to the purpose for which it was adopted. While there have been results from several medical surveys conducted in recent times about how healthcare professionals are experiencing increased productivity and streamlined workflow in hospitals as a result of using mobile devices at the point of care, it is imperative for these organizations to ensure that they will be using these applications for the right purpose if they must achieve the right results. Whether you are looking to investigate patient record maintenance, document the number of diagnoses performed, record pharmaceutical information or complete more fields in other areas, the use of a mobile application can be very handy. As a matter of fact, this can result in the performance of a more thorough documentation thereby enhancing greater productivity. Undoubtedly, healthcare practitioners are bound to experience more efficiency in their respective work practices when they adopt the right mobile application. It is no more news that working with the right mobile health application can significantly help to improve the efficiency of any clinical practice. Currently, all the app stores are flooded with lots of different industry apps developed for various purposes which include apps for tracking and managing patient’s health and wellness, patient support apps, analytics/decision support apps, health information exchange applications, e-prescribing apps, and EHRs. Basically, it is important to ensure that whatever role your chosen app is going to play, efficiency is should be greatly enhanced. Just so you know, any health care professional can experience faster and more efficient access to clinical support resources such as reports, lab tests, and guideline with these apps. Developers are already creating apps that would enable physicians to perform more efficient decision-making and patient care. There are many hospitals today that have cited improved care coordination with this technology. 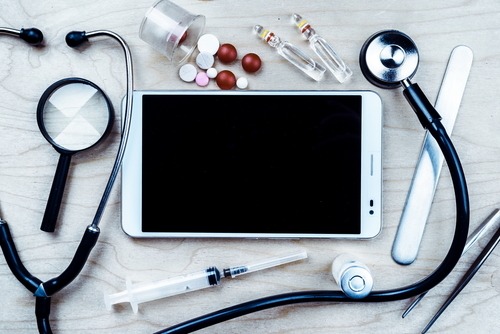 In fact, there have been reports of how physicians are using mobile devices on their smartphones to retrieve information from the drug database. With this, physicians can have more time for direct patient care as they wouldn’t need to spend much time to access, retrieve and record data anymore. The use of mobile applications in the workplace is certainly ambiguous. It may interest you to know that more healthcare facilities are employing mobile app technology today just to improve accuracy and reduce medical errors. Aside from this, the tech has proven to be very effective in maintaining accurate diagnostic coding and documenting side effects thereby helping to increase medication safety. Interestingly, mobile app development can be of a very great importance in some critical care environments particularly when it comes to ensuring timely communication within hospitals. Obviously, there is no better way to accurately complete patient documentation than this, as it will help to largely reduce medical errors.